Yesterday’s afternoon was spent in the company of this striking red beast from D-Link. It’s their latest router, the DIR890L Wireless AC3200 Tri Band Router which would be coming to Singapore is now available in stores for $399. The DIR890L high performance router would be able to help you make good on your 1Gbps fibre broadband plan, with wireless access speed per client able to reach up to up to 1.3Gbps. The router calls for attention with it’s bright red glossy shell. Drawing comparisons to a spaceship-inspired design, or a fierce insect with a pointed front, the DIR890L is one router that you would want to show off with its bright striking looks. No more concealed antenna design, the 890L sports a total of six positionable antennas to let you optimise the coverage for your home or office. Personally, I think it looks great, and the red / black design would go well in today’s modern home decoration and offers both an aesthetic touch, as well as functional performance with the three bands of Wi-Fi, fast speeds and beamforming capability. It does take up a fair bit of space – about the size of a game console (373 x 241 x 157 mm). The router is the first in the Southeast Asian region to sport speeds of up to 3.2Gbps (total throughput) to deliver the necessary throughput to today’s demanding consumers. The device is equipped with two 5GHz wireless bands (2 x 1300 AC) and a 2.4GHz band (600N) for the ability to handle simultaneous requests and for multiple devices to be online at the same time. This is common in today’s home, with a single person having multiple Wi-Fi devices at home, which would stretch the bandwidth requirement and device prioritisation of your router. The DIR890L uses the latest Broadcom chipset based on the still unratified 802.11ac 2015 standard, aka Wave 2. This year, we would start to see Wi-Fi being pushed to the limit of 7Gbps. The D-Link DIR890L sports a total of six external high-gain antennas, with beam forming capabilities to ensure that signal strength is dedicated to your device position, and helps extend the range as well. The back of the device has four 1 Gbps Ethernet ports, 1 x USB 3.0 port, and 1 x USB 2.0 port. One nice feature on the DIR890L is the ability to combine the separate networks into a single SSID and the router would handle the transition and handover features across the networks. This would be easier for many consumers who might otherwise be confused with the presence of a 2.4 Ghz / 5 Ghz network at home. D-Link shareport access is a convenient way for you to set up a NAS at home by connecting a thumbdrive or hard drive to your router. It allows SAMBA (SMB) access across internal traffic and external network can still access the files through D-Link proprietary Shareport application, which is available as a standalone app or via a web-app through a browser. While not the most powerful, it allows for quick access to documents and even video files, where it can stream MP4 files directly in a browser. 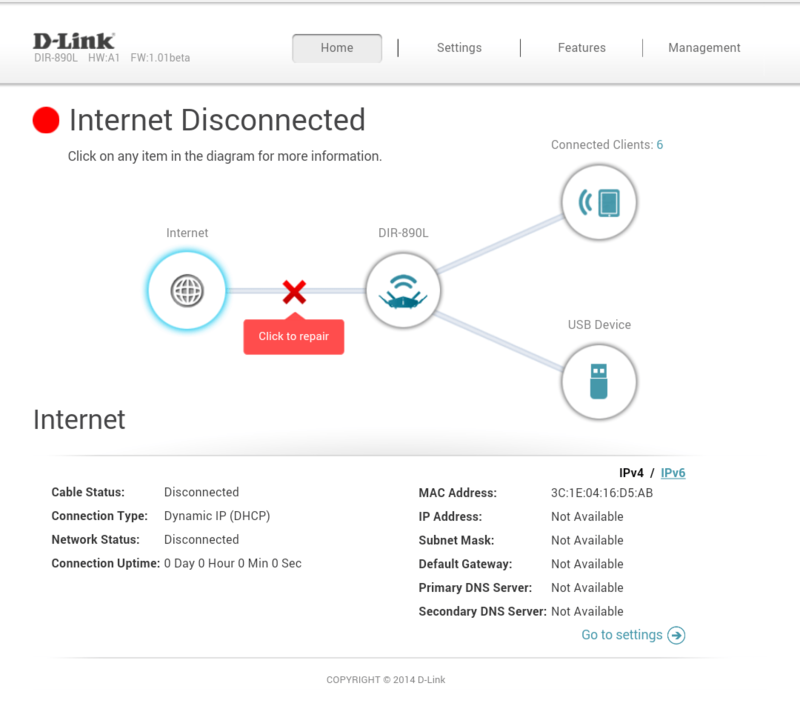 While not entirely advisable to open up your router configuration for access over a HTTP network, there are times when it can be convenient, and in this aspect, D-Link has also allowed access to the router settings through the mydlinkapp where users can see who is connected to the router, change settings or block access. A quick peek into the router configuration interface revealed that it is primarily designed for the mainstream consumers, with enthusiast features limited. 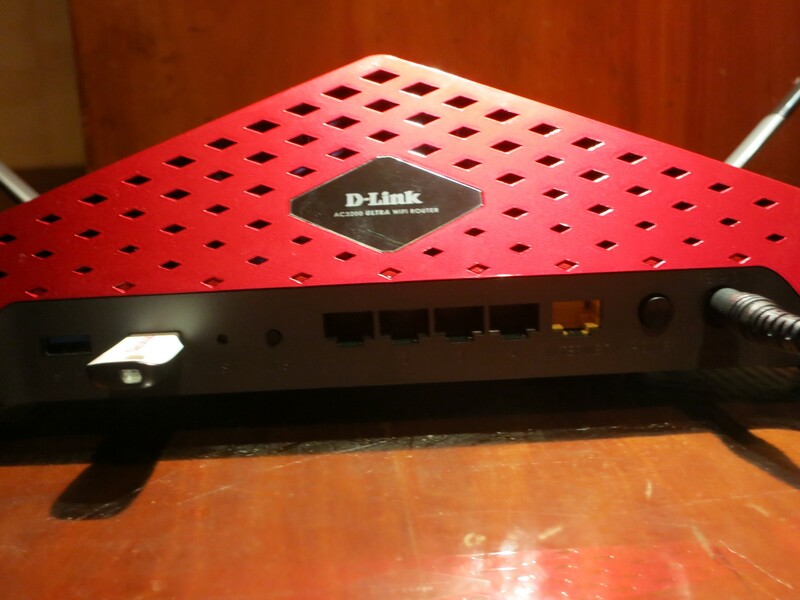 D-Link shared that they are working with DD-WRT for a dedicated firmware for the DIR890L. That would help expand the functionality for many tech enthusiasts. The DIR-890L router will go on sale from February 12 at S$399. We understand that there will be a initial launch promotion for a discounted price of $349. On top of that, the first 50 customers at Challenger (Funan DigitaLife Mall) will also receive a free DWA-182 AC1200 dual-band USB adapter. The black colour DIR-890L is a starhub exclusive.